Certified is proud to be a premier provider of orthotic and prosthetic services throughout Colorado, Southern Wyoming and Western Nebraska. We strive to offer the patient, referral sources and families the highest quality services available. We have assembled a qualified and certified staff to accomplish this goal. The staff includes Certified Orthotists and Prosthetists by the American Board of Certification in Orthotics and Prosthetics. Our facilities are also accredited by the American Board of Certification. Our company offers complete adult and pediatric Orthotics and Prosthetics. We offer custom orthotic services, upper and lower extremities, spinal, foot care services, custom-made shoes, diabetic foot care and orthopedic soft goods. In addition, we offer complete adult and pediatric prosthetic services including custom prosthetics, for above and below knee, upper extremity, post operative management and the latest technological innovations. Certified is also a center for complex prosthetic and orthotic pathologies requiring expertise in the latest innovations and technologies. We have experience in computerized upper and lower extremity prosthetic devices, computerized orthotic technologies, electro stimulus devices, spinal and thoracic devices, scoliosis bracing, stance control orthoses, cranial remolding helmets, burn masks, specialty wound care devices, custom orthotic seating systems and 3D shape capture modeling replacing traditional casting methods. To support all of the above services, our company is proud to operate a full service, custom fabrication facility for orthotics and prosthetics located in Fort Collins, CO. Through its staff of 15 technicians, we are able to offer our patient care customers with high quality products in an efficient and timely manner. In addition to our patient care services, the customer service side of our business is of the upmost importance. Since our company’s inception in 1987, we have gained vast experience in dealing with insurance reimbursement helping to provide peace of mind for the client and their families when dealing with the financial issues of their healthcare. Rest assured the intricacies of funding and billing can be explained and communicated precisely, then followed through with timeliness and care. Certified is committed to becoming your referral center and patient care provider for quality care in orthotics and prosthetics. We are available for consultation and patient evaluation. We also offer our expertise as a Rehab team member for your specialty clinics. All of our practitioners hold ABC certifications, which is considered the profession's highest standard for professionals providing orthotic, prosthetic and pedorthic patient care and technical services. These credentials are awarded to individuals who have met ABC’s education, experience and competency assessment requirements. Additionally, each ABC certification exam is based on a comprehensive Practice Analysis of the profession. An ABC certified orthotist and/or prosthetist is an allied health professional specifically educated and trained to make and fit orthoses and prostheses and manage comprehensive orthotic and/or prosthetic patient care. As ABC practitioners, these individuals are certified to independently provide or supervise the provision of patient care. 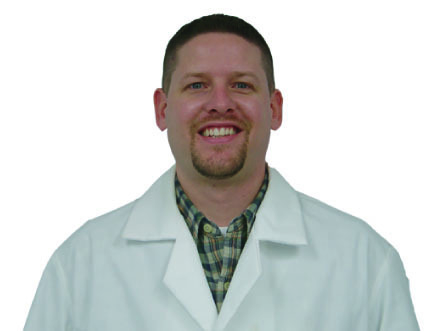 Jason Bradshaw, CO is a Certified Orthotist by the American Board of Certification in Orthotics and Prosthetics. Jason graduated from Colorado State University with a Bachelor of Science Degree. He attended Northwestern University Medical School for his Orthotic Certificate. Jason completed his residency at the University of Florida at Shands Medical Center in Gainesville, Florida. Upon completion of his residency, Jason served as the Director of the Orthotic and Prosthetic Center for Shands Hospital. Jason is also a respected speaker, researcher, and product innovator in the O&P industry. 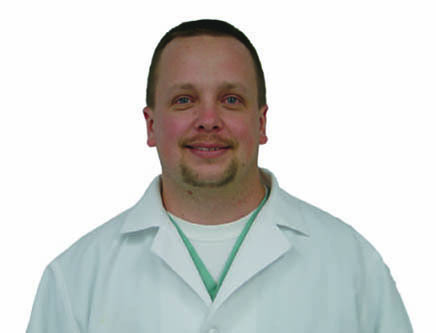 Chris Manning, CP is a Certified Prosthetist by the American Board of Certification in Orthotics and Prosthetics. Chris graduated from Ball State University with a Bachelor of Science degree. Chris attended Northwestern University Medical School for his Prosthetic Certificate. He has been in the Orthotic and Prosthetic field for over 10 years and is experienced in both upper and lower extremity prosthetic fittings. Chris is certified by Otto Bock to fit the revolutionary computerized C-Leg.